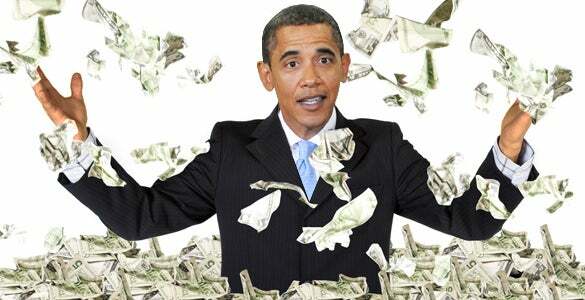 RUSH: You look at Obama running around… He’s getting, by the way, $3 million for this speech in Milan, Italy. And a story on the Drudge Report claims that Obama is becoming more and more active in the opposition to Trump. Not ever mentioning Trump’s name, but doing everything he can to undermine Trump’s agenda with speeches all over the world, which state his opinion on what’s happening in America. It’s all based on the fact that Obama’s the smartest guy in the room and he’s the guy with all the compassion and he’s the guy with the knowledge and he’s the guy qualified to know what the future holds and his ideas are being undermined. Largely, this is what his speeches are about, and what is the one characteristic that you attach to Obama? Charles Krauthammer on Fox the other night said that what drove him nuts about Obama was his condescension. Now, I agree with that. I think arrogance and condescension combined in one character trait probably equal the most irritating personality traits I encounter. Arrogant, smug, condescension. I use “smug” to describe Obama. And I think it’s a defining characteristic of all liberals: Smug, know-it-all arrogance. They’re ignorant experts! They’re experts in things that they have never, ever done and no one does is that better than Obama. For example, liberals tell everybody how to raise their kids with no evidence that they know how to do it on their own! (scoffs) In fact, the evidence that they don’t know how is all over the place. They tout public schools as the single, best thing you can do, and they wouldn’t dare send their own kids there if they have to. Private education in this country almost exists for the express purpose of schooling liberal kids. Michelle Obama? They’ll tell you what to eat. They’ll tell you what you’re eating is unhealthy. They will demand that you only eat this. Michelle Obama devised a school lunch menu that kids were throwing in the trash and sneaking in pizza and burgers, and you know what one of the key elements of the Michelle Obama menu was? No salt! That’s right. They’ll tell you what to eat with no interest in food before they lived in the White House. Michelle Obama, she wasn’t a food expert ever. Food was never a cause of hers. She becomes first lady and has to become an expert in something. It has to be something “caring.” So food became it. They will tell you they know everything about earth’s climate without any degrees, without any ability. No one understands earth’s climate much less a has-been politician. Liberals may be many things, but they’re always smug, and Obama defines it. He exudes smug. Perfect role model for smug wannabes. He knows better. He’s the smartest. He’s the wisest human being in every room that he enters. “Now this guy’s out there getting $3 million for speeches? Arrogant, condescension, smug stuff.” Have you heard that Clinton is writing a book with James Patterson? Did you hear about this? James Patterson, the prolific mystery writer and mystery author. He lives here. I’ve played golf with James Patterson. I’ve run into him at restaurants. I can’t say that he’s a friend. He’s an acquaintance. I speak to him when I see him. But James Patterson and Bill Clinton are co-writing a thriller called The President is Missing. It’s due out in 2018. I think it’s probably based on a true story: The night of the Benghazi attack. Where was Obama?